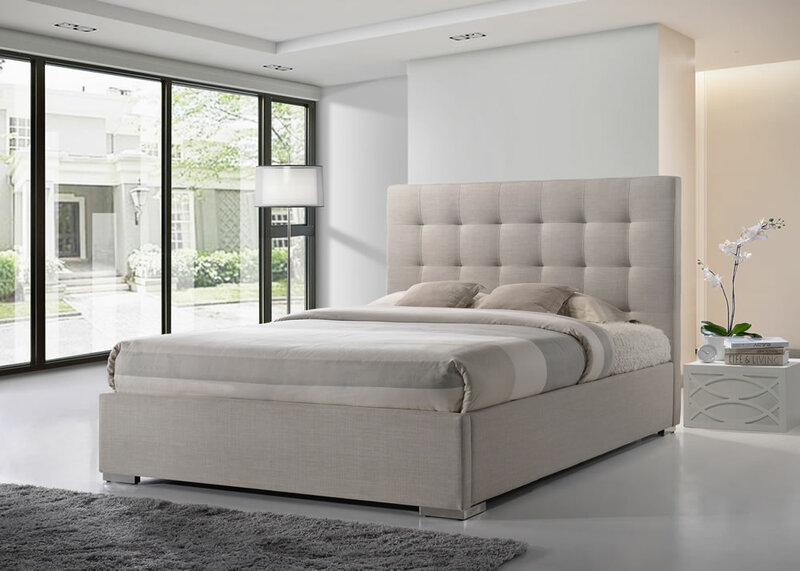 The Time Living Nevada fabric bed frame is available in two soft fabric colours grey or sand and three UK standard sizes, double, king and super king. 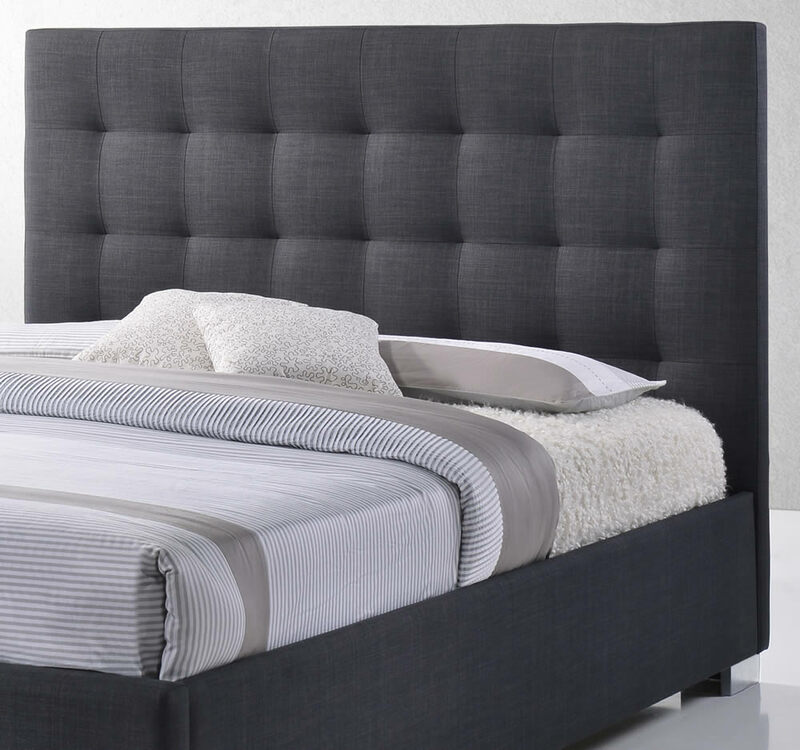 A traditional style bed frame with a modern twist featuring a tall headboard with square stitching detail, low side rails and foot end. 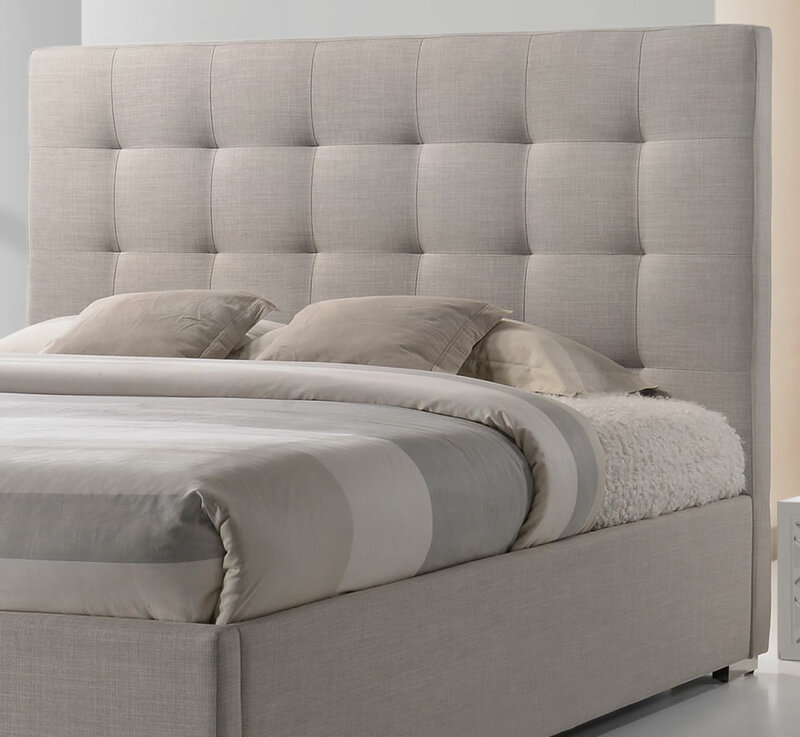 The chrome corner feet perfectly complement the revitalised timeless design of the bed frame. 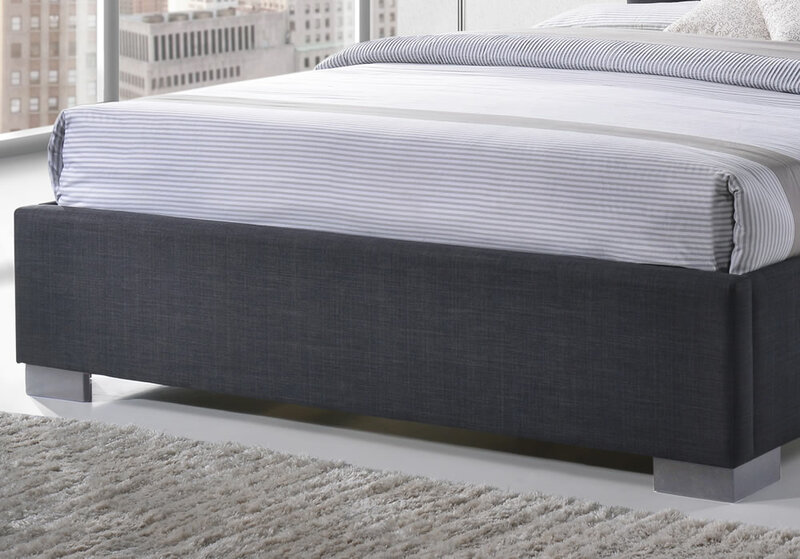 For support and extra comfort the Nevada bed comes with a modern sprung slatted base for a better nights sleep.